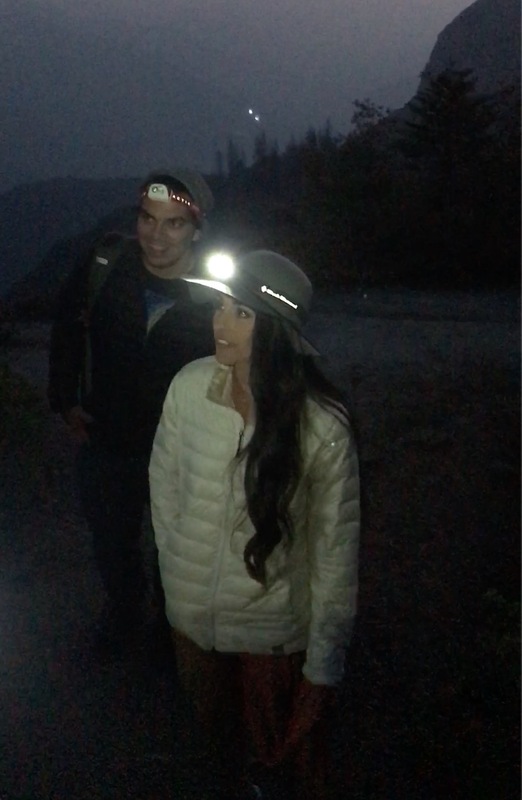 In Summer 2018, Ivan proposed to Brittany in the Sequoias under twinkling lights and the crackling sounds of a romantic campfire. 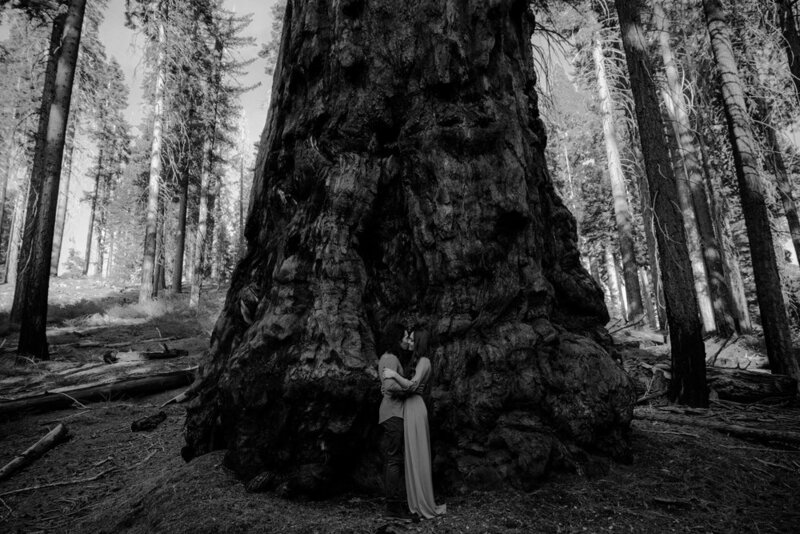 Naturally, Sequoia National Park was the perfect choice for their epic adventurous Fall Engagement Session in October! They love camping and hiking and they came all the way from Ventura County to make this magic happen, and my husband (Santiago) and I decided to make a camping trip of it! Our friend Guillermo first introduced us to this magical place and we’ve been hooked on it ever since! We’ve had some great camping trips and backpacking excursions here. Side note: REI is where all our money goes. This is also where I was stung by a wasp for the first time – which wasn’t fun – but it’s also where many fond memories have been made! Me and Santiago actually brought my brother here for the first time last year and it’s been so fun to share it with more loved ones. Santiago and I arrived at Sequoia the day before the session and did a ton of exploring and hiking to find the perfect spots for Brittany and Ivan! One of the spots we found during our hiking adventures throughout the day was a beautiful overlook spot for sunset! After a long day of searching, we met up with a few friends who were camping with us and had some wine by a campfire to wind down. When it was time to meet Brittany and Ivan, they shared some great craft beer with us while we explored with them. After stopping at a few hidden forest gems, we started our hike that would lead to the beautiful sunset overlook we found the day before. And can we talk about that sunset? The cotton candy colors of the sky were truly mesmerizing and we didn’t want to leave! 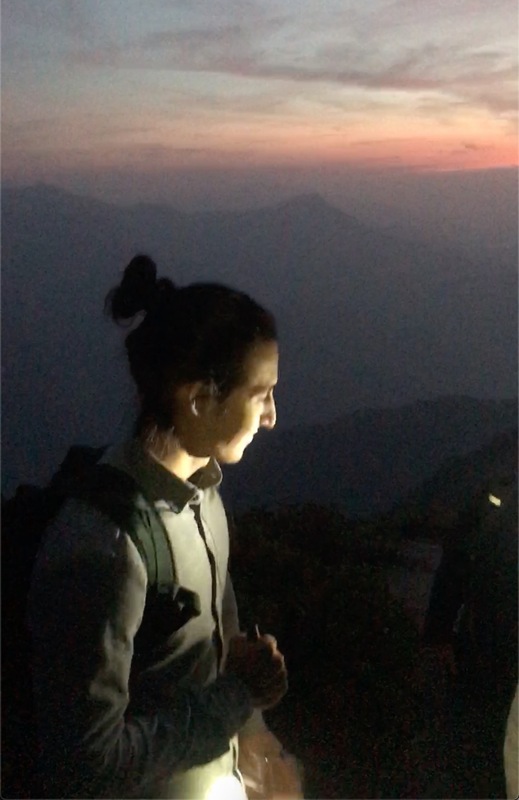 As the sun began to set, it also got chilly pretty quick, but Santiago was such a rock star and hiked all the way back to get jackets and headlamps for all of us while we kept shooting through the last light of the evening. P.S. I also have to mention that Brittany and Ivan are both badasses! Brittany is a Personal Fitness Instructor and Ivan is an incredible Chef!